There are currently 93,379 users on this website. A week late but better than never. I was unable to make it on Friday because of work, so I arrived first thing on Saturday. Parking was no problem despite the big deal that was made about the renovations. There was plenty of space on City Councillors (one of my favourite names in Montreal). First stop was to see Mike Joffre and Barry Uman at the Carsley table. They are good friends and Mike always has great stock. After leaving my coat with them I started making my way around the bourse. Gary Miller always has great medals. He had a really cool Upper Canada Preserved medal in silver but I decided to pass. Next was was Joe Iorio. 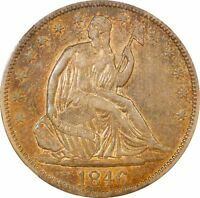 He had a terrific set of Walking Liberty half dollars in an old Dansco holder. There were some really great coins in the collection. He was interested in some grading thoughts, which I provided. I also ended up selling in a few ICCS coins. Joe was very fair, as always. Andy Grecco had a few really cool esoteric items I acquired, including a so-called dollar from the 1904 St. Louis Exposition, a rare 1892 medal struck by then-ANS curator Edward Groh, and an awesome 1837 Hard Times token with the obverse planed off with multiple silversmith counterstamps. From there I moved to Stephen Oatway's table (Britannia Numismatics) and then to Clement (Jetons Canada). Each of these specialized dealers always carried a great inventory. Nice to talk with both of them. There were many tables and dealers I didn't get a chance to visit in the three or four hours I was there. Looking forward to the next show at its new location. Did anyone else attend. If so, how did you find it? Newly listed items on eBay by NumisCat. 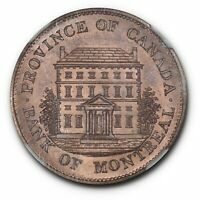 View all NumisCat's items on eBay. Looking forward to the next show at its new location. It's going to be at one of the McGill student residences on Park Avenue, just around the corner, if I am not mistaken.